Unreleased album by Wu-Syndicate member, pro press CD intended to present to Priority Records in late 90’s for release. Tragically the producer Veto, also a close friend of Myerlansky was murdered around the same time and the album was scrapped. The few copies that exist were sold at mom and pop record stores in Virginia. Although it was intended for release months after the Wu-Syndicate debut (which seen him change the spelling of his name to Myalansky), the album was recorded in the years leading up to 99/2000. 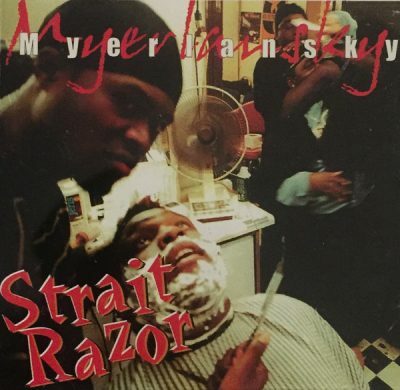 comment "Myerlansky – Strait Razor (CD) (2000) (VBR V0)"